Sometimes you just need a little extra when it comes to items in your life. I can recall a time, in the not so distant past, when the quality of picture from even the nicest TV couldn't compare to the quality of images displayed on our current HDTV models. Now we have so many options, like smart TVs, handheld devices, and even nifty, 1080p projectors. While I'm not necessarily a techie, I do know a good projector when I see one and I've been eyeing the ultra-bright Epson Home Cinema Projector. It literally brings the movie theater to your living room, which means you can watch the game on your wall on Sunday night and be able to see every play in vivid detail. You can use the projector as a satellite box, a gaming console, or even pair it with a streaming device and watch your favorite TV show. Not only can you watch whatever you want on this little gadget, this projector is super lightweight and portable, meaning you can easily share the fun with your friends and family - if you choose! Want to learn more about the projector and all of its features? Click here and be prepared to add this beauty to your holiday wish list! Speaking of your holiday wish list, I think it's important you add a few amazing animated movies to your list - for your viewing pleasure! 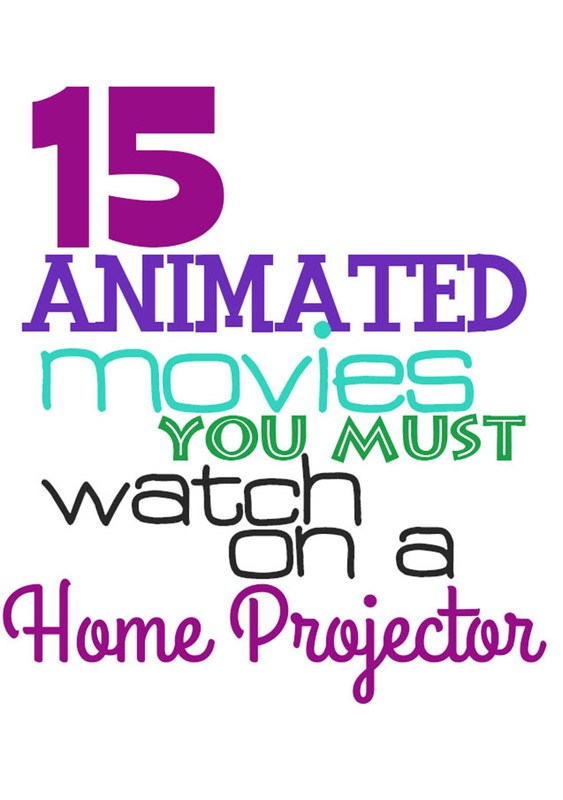 These 15 animated movies listed below you must see on a projector, they are just too awesome not to experience in their full glory!